WEARCO is a supplier of fibreglass reinforced plastic (FRP) grating, handrail and composite material that is manufactured to the highest specifications. 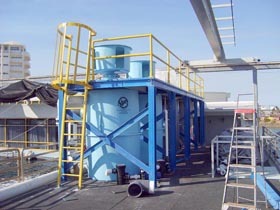 As well as a supplier, Wearco also manufactures items and structures from FRP. 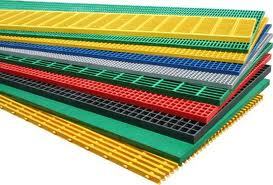 FRP moulded grating has excellent corrosion resistance. 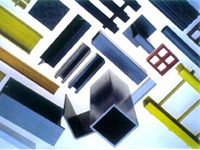 Different resins have different corrosion resistance properties. 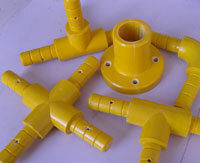 The resins used include orthophthalic polyester resin, isophthalic polyester and vinyl ester resin. 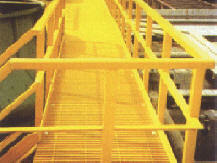 Vinyl ester grating provides extremely high corrosion resistance. 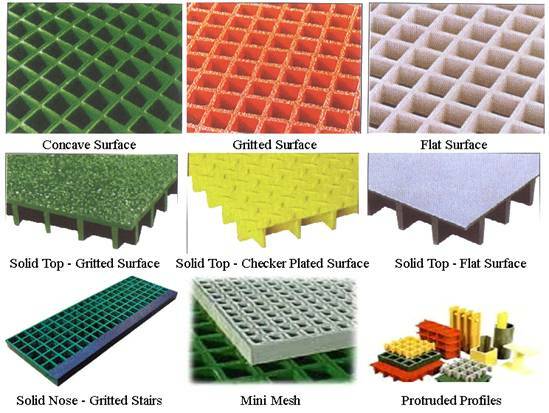 The surface of FRP moulded grating can be concave top, flat top, grit top, decorative pattern, grit or smooth cover. Compared with other floor materials, FRP moulded grating provides a series of benefits such as high impact resistance and four times the strength-to-weight-ratio of steel grating. FRP moulded grating is easy to cut and install. Fibreglass reinforced polyester grating can be cut on site using a grinding emery disc. Even a normal saw can be used. The grating is non-conductive, non-magnetic, has a beautiful appearance, is easy to install and is maintenance free. 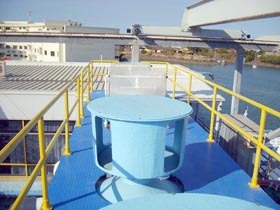 Product uses: petrochemical, metallurgic, electric power and electronic, water-supply & drainage, food & beverage, municipal construction and environment, civilian construction industries, shipping, marine, wineries, fishing, machine shops, farm, food processing, enviro walkways, mining, piggeries, dairies, food preparation areas, wet areas, etc. Benefits of FRP include corrosion resistance, slip resistance, light weight, high strength-to-weight ratio, non-conductive, non-magnetic, fire retardant, impact resistant, superior economics and very low maintenance. 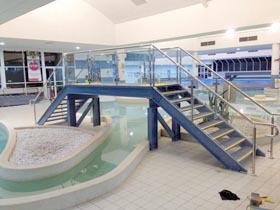 FRP can be used as a safe, reliable handrail system which is easy-to-install, maintenance free and safety approved. 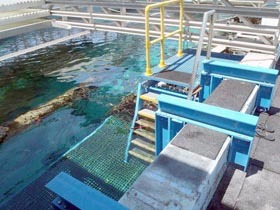 In addition to satisfying basic requirements, the FRP Handrail System offers unique mechanical properties for applications where corrosion resistance and electrical conductivity are of special concern. 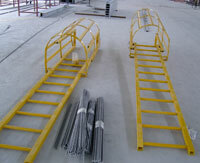 There are two types of FRP handrail systems – round and square.